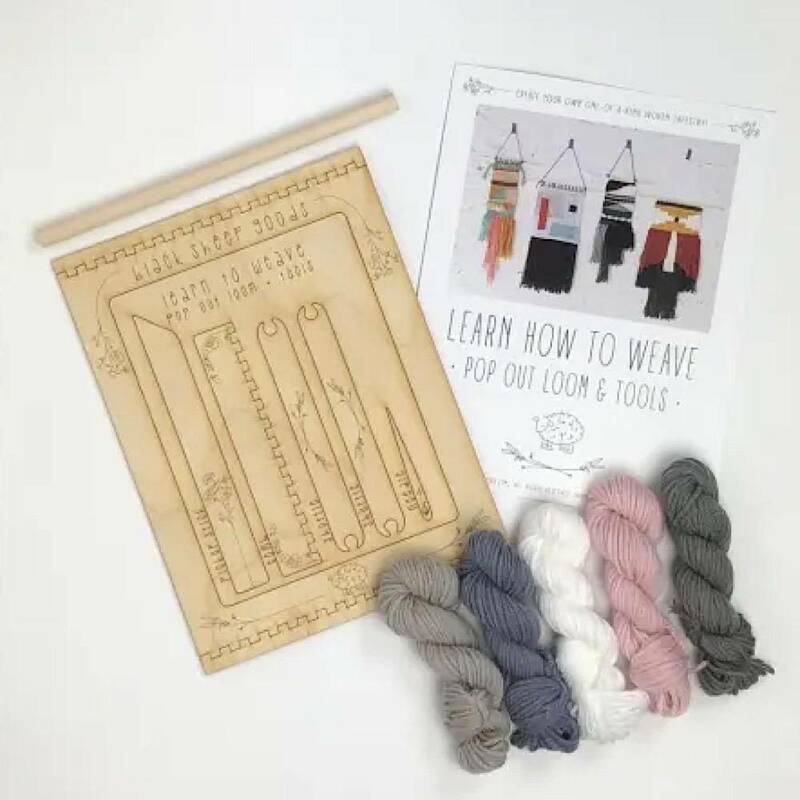 Learn how to weave with this all inclusive kit from Black Sheep Goods! Weaving is great for all ages, is perfect for traveling and has a very therapeutic quality to it. Includes a pop out loom (8.5x11 in) to make a tapestry as large as 10.5x8", a 10in wooden dowel, 5 mini skeins (30 yards each) of acrylic yarn and instructions.